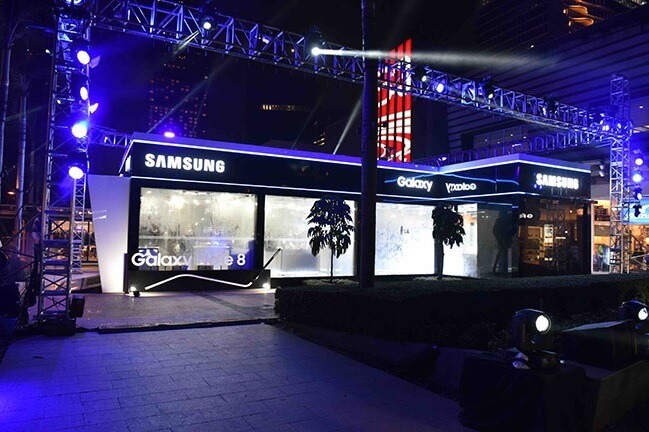 Samsung Philippines recently opened its Galaxy Studio pop-up in Bonifacio High Street, wherein consumers can have their own unique experience with the tech giant’s latest technology. Here are the things you must see inside the Samsung Galaxy Studio to know how you can do bigger things with the company’s newest offerings. First, put on the Gear VR and sit back. Gearing yourself with this device, you will enjoy a roller coaster ride or a race in a space through virtual reality. The fun won’t stop with the Gear VR, in fact, even the chair you’ll be sitting will add more thrill to your experience. You can also witness the Galaxy Note8’s best features. Go to the IP68 Liquid Canvas to test the device’s IP68 Enclosure. For a more enjoyable experience, take a selfie with the Galaxy Note8, then, align the phone with the sensor under water. After this, watch how it transforms your selfie into a canvas portrait. Meanwhile, the Art Zone offers more Galaxy Note8 experience. It is enclosed with walls designed with doodles from top to bottom. Here’s the place where you can test its dual camera, and its improved S Pen. Aside from these stops, consumers can also visit the Samsung DeX demo area, where you can find Samsung accessories. Promising to add more things to look forward to, Samsung announced that the Galaxy Studio will be open to the public until March 2018.